Product code: 1043 Categories: Sold Items, Sold Watches. 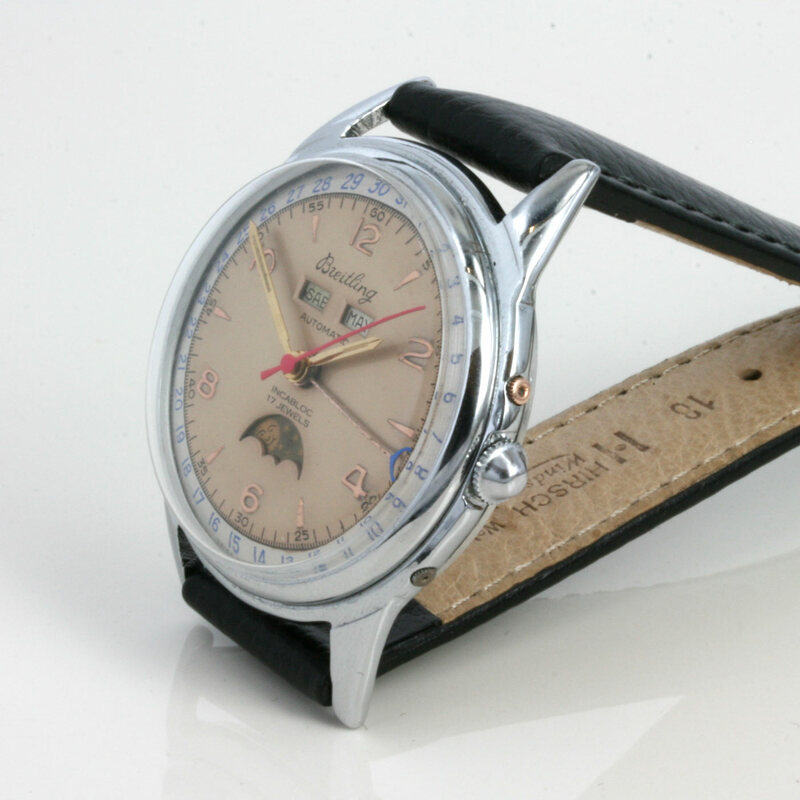 A very handsome late 1950’s Breitling triple date watch also displaying the moonphase. To further enhance this watch is the fantastic moonphase feature at the bottom – a very nice and stylish look indeed.